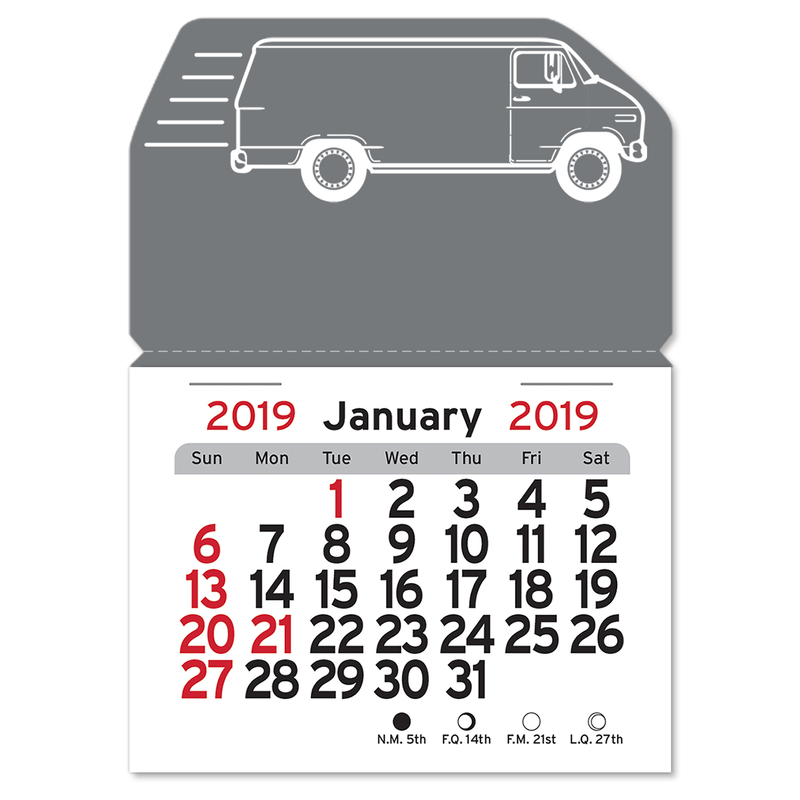 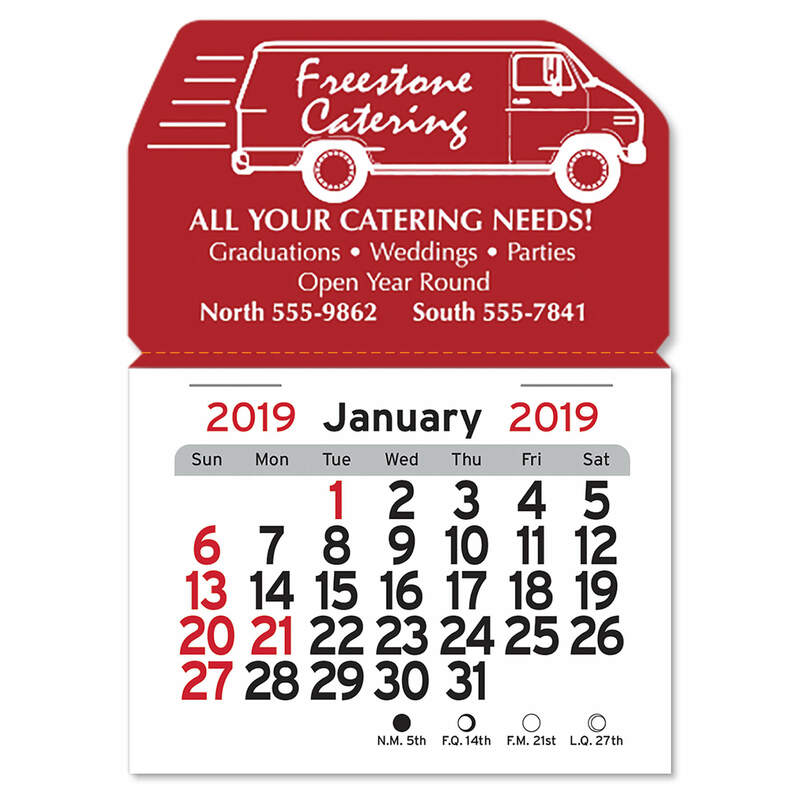 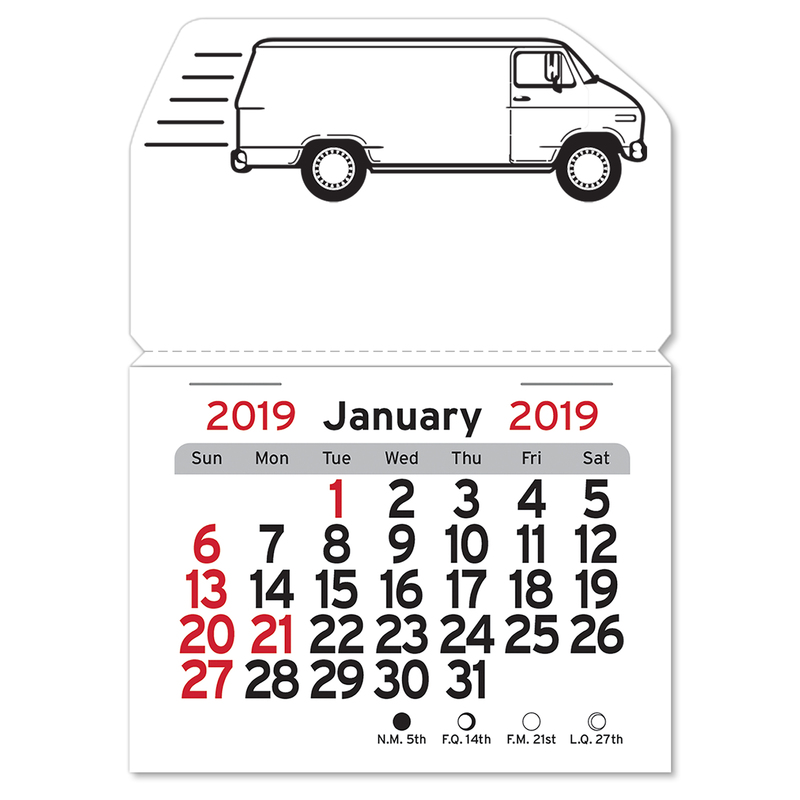 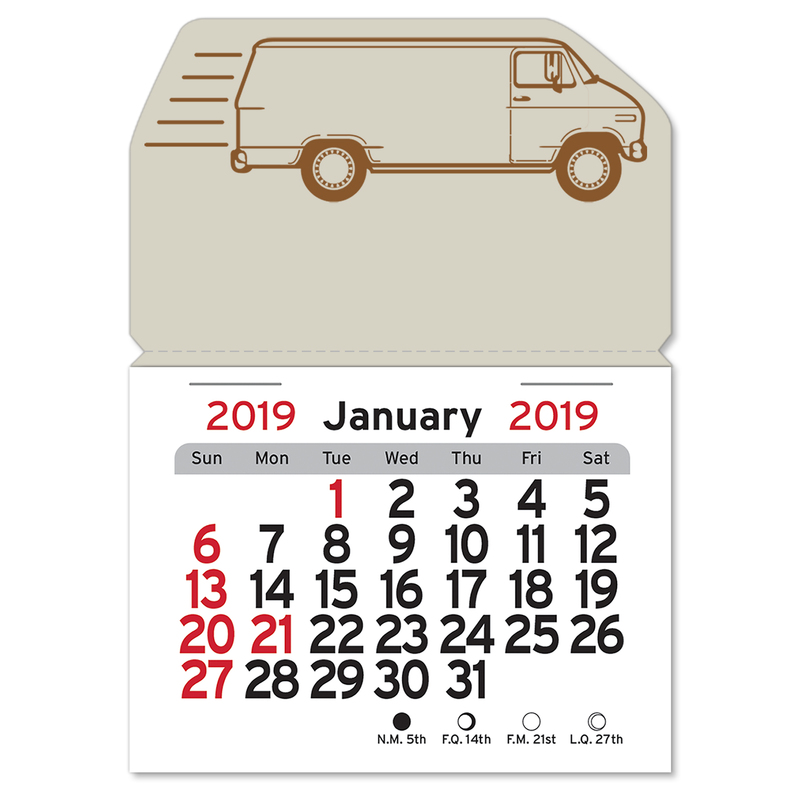 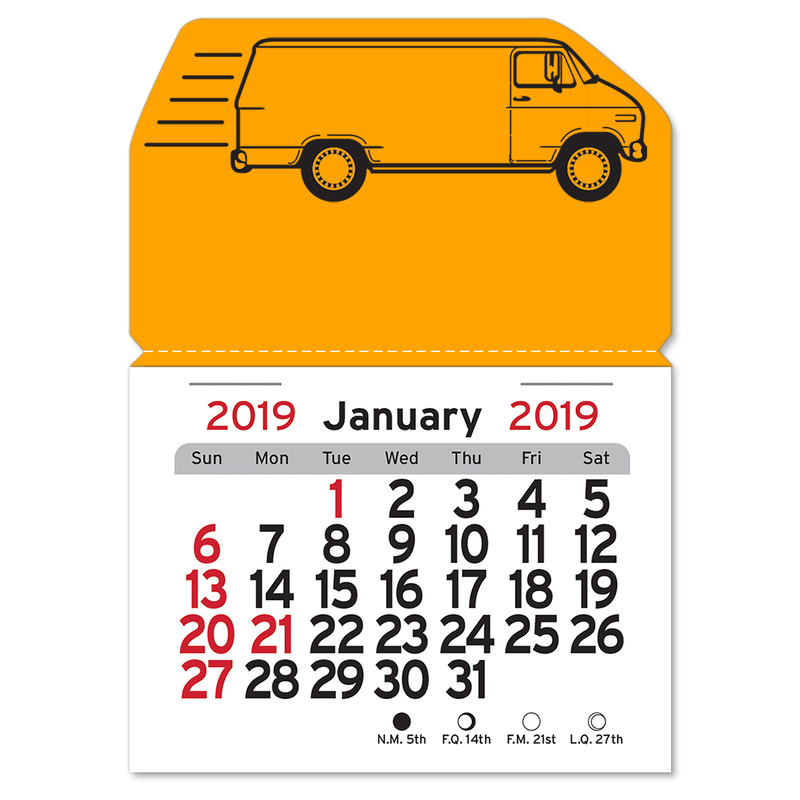 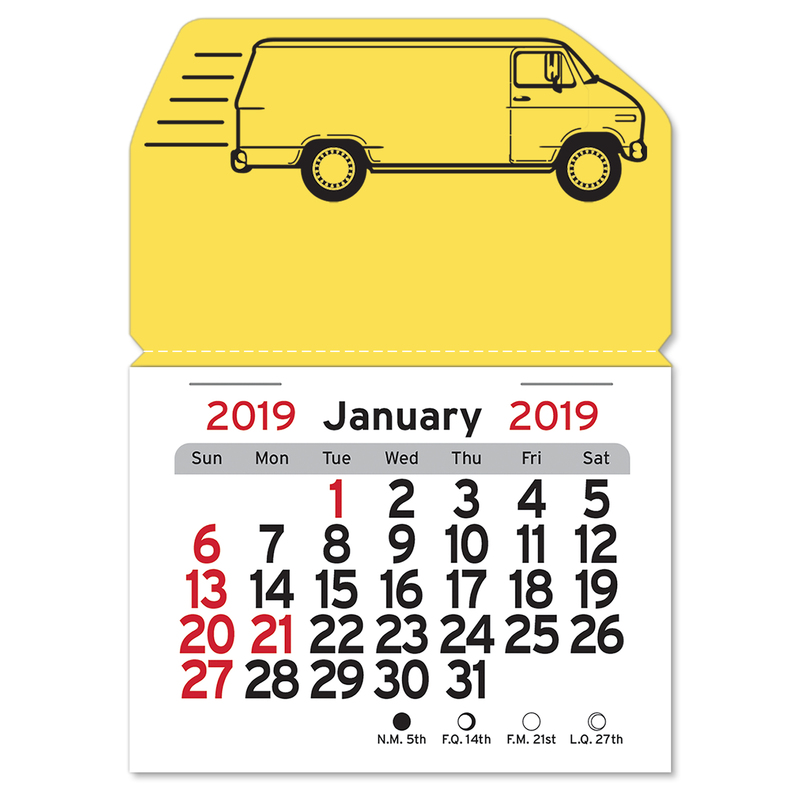 High quality vinyl calendars, imprinted with an outline of a Delivery Van, make a great first impression and leave a lasting message. 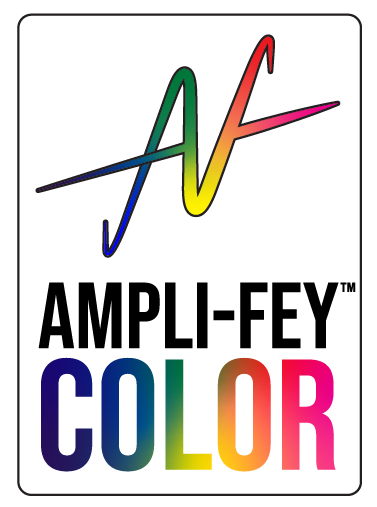 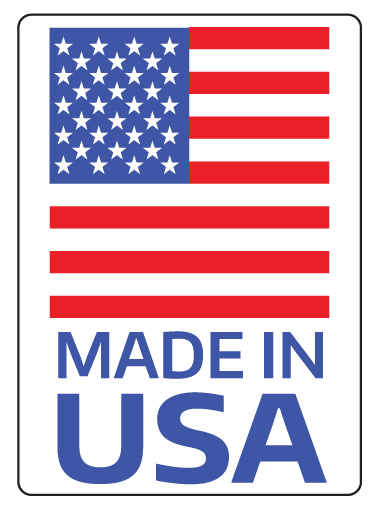 With 24 vibrant colors to choose from and a variety of imprint colors, they will make your logo stand out and be noticed. 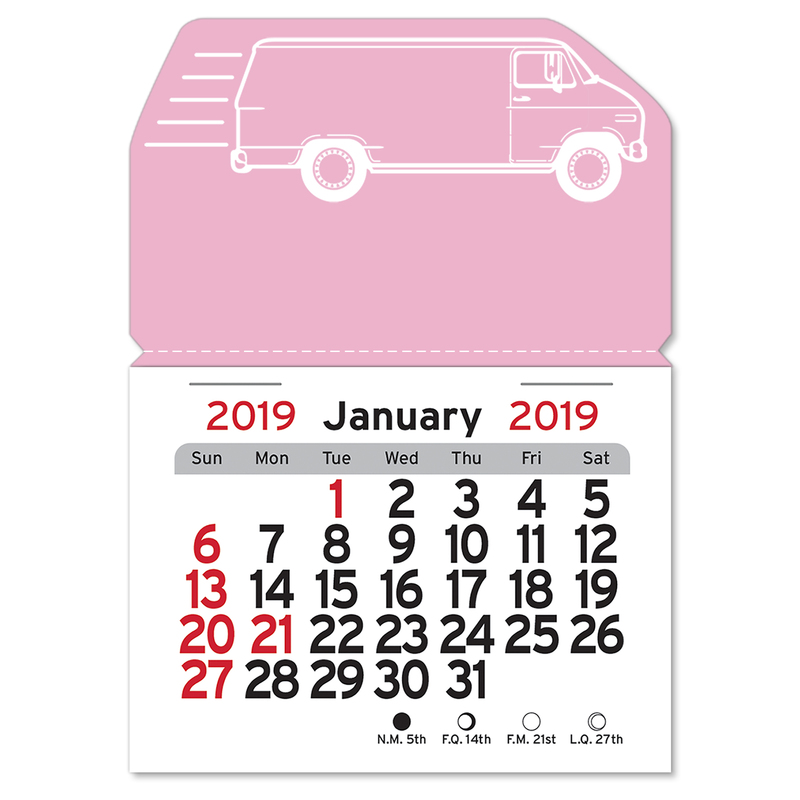 Inside Van Outline - 1-3/16" x 3/8"
Below Van Outline - 2-3/4" x 9/16"